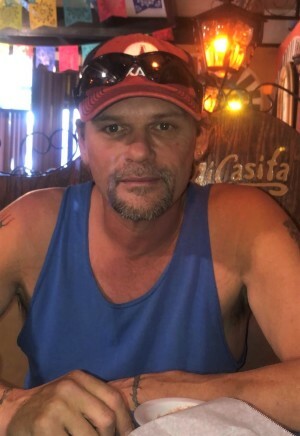 Mr. Jonathan Lee Jones, Sr., 47, passed away, Tuesday, April 9, 2019 at Scotland Memorial Hospital surrounded by his special friend Donna Bailey after a brief illness. Mr. Jones was born on January 29, 1972 in Jacksonville, NC to Mrs. Joann Haywood Jones Shoemake and the late Mr. Julian Lee Jones, Jr. He was machine operator/foreman for J&B Solar Panels. He enjoyed being with his friends and family cooking out. He loved watching NASCAR, where his favorite driver was Jeff Gordon. Mr. Jones leaves behind cherish his memory; sons, Jonathan Lee Jones, Jr. (Rachel) of McColl, Daniel Jones Brigman (Brittany) of Wallace, and Justin Tyler Jones of McColl; canine daughter, Bailey; mother, Joann Shoemake; Step-father, Billy Shoemake; brother, Julian Lee Jones, III (Shirlena) of Keystone Heights, FL. ; step-brother, Billy Joe Shoemake; step-sisters, Amanda Swann (Jackie) and Sherry Lovell (James), grandchildren, Jaxon Carter Jones, Jace Matthew Jones, and Preston Brigman; special friend, Donna Bailey; host of nieces and nephews. He was preceded in death by his father listed above; brother, Jarrod Jones; maternal grandmother Evelyn Bolton. A funeral service will be held 2pm, Saturday, April 13, 2019 at Fletcher Chapel, officiated by Rev. Andy Stewart. A visitation will be held at 1-2 pm just prior to the service.